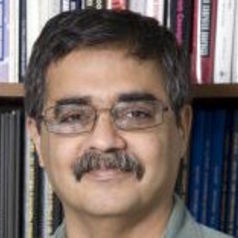 Nasir Memon is a professor in the Department of Computer Science and Engineering at NYU Polytechnic School of Engineering and the founder and director of the Information Systems and Internet Security (ISIS) laboratory (isis.poly.edu). He is the founding director of the Center for Interdisciplinary Studies in Security and Privacy (CRISSP http://engineering.nyu.edu/crissp/) , and CRISSP Abu Dhabi ( http://nyuad.nyu.edu/en/research/nyuad-institute/institute-research/cris...) a collaborative initiative of multiple schools within NYU including NYU-Steinhardt, NYU-Wagner, NYU-Stern, and NYU-Courant as well as NYU Abu Dhabi. He is an affiliate faculty at the computer science department in the Courant Institute of Mathematical Sciences at NYU. His research interests include digital forensics, biometrics, data compression, network security and security and human behavior. Memon earned a BE in Chemical Engineering and a MS in Mathematics from BITS Pilani, India. He received a MS and PhD in Computer Science from the University of Nebraska. He has published over 250 articles in journals and conference proceedings and holds a dozen patents in image compression and security. He has won several awards including the Jacobs Excellence in Education award and several best paper awards. He has been on the editorial boards of several journals and was the Editor-In-Chief of the IEEE Transactions on Information Security and Forensics. He is an IEEE Fellow and an SPIE Fellow for his contributions to image compression and multimedia security and forensics. Memon was the co-founder of Digital Assembly and Vivic Networks, two early-stage start-ups in NYU-Poly's business incubators.